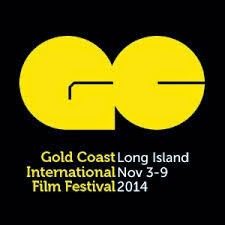 Gold Coast Film Festival starts Monday. It’s a week of special screenings followed by a weekend of movies in several locations across the North Shore of Long Island. I know you’re all wondering how much coverage Unseen will be giving the festival. Sadly not as much as it deserves. The problem comes down to the dual problem of we’ve got conflicts with some of the weekday screenings and we’ve also seen a large chunk of the films already. I’m Currently trying to get out to a couple of films we haven’t seen, Above & Beyond and Wonders in particular. Joan Rivers : A Piece of Work-very good doc on the late great Joan Rivers. I have not done a review of the film but its a great film and if you haven't seen it and like Rivers, here's your chance. We've also seen Match (which is good) I hope to have a review up soon. For ticket information and more details go to the festival website.